Road races are not limited by top-end speed. A 5K race is run at approximately 60 percent of your 100m dash sprint time, and the marathon at 40 percent. While sprinters rely solely on raw power and technique, middle-distance and especially long-distance runners are mainly limited by their ability to supply the energy required to fuel a sustained effort at moderate intensities. Chances are, that you as a long-distance runner have experienced the limits of your energy supply in one way or another. At sprint repetitions your legs turned acidic, during intervals your lungs seemed to burst, and at your weekly long run you suddenly couldn’t go any further despite your lungs and legs feeling just fine. The supply of energy limited your running performance. Your body comes equipped with 3 energy systems. The phosphagenic-, glycolytic-, and the aerobic energy system, which can be further subdivided into the aerobic breakdown of glycogen and the aerobic breakdown of fatty acids. The former 2 are of little concern for long-distance runners as they can supply energy only for a short time at full capacity, 10sec and 2min, respectively. Hence, the aerobic system is by far the most important factor, contributing 90 percent of the energy required to fuel 5K races and 99 percent for the marathon. It is worth mentioning that 70 – 80 percent of those calories are supplied by carbohydrates at this intensity as the oxygen cost to burn glycogen is lower than the use of fatty acids. Therefore you won’t find elite runners on a low-carb diet. What limits the long-distance runner’s aerobic system, however, is not the availability of glycogen (marathon aside) or fatty acids but the capacity to deliver the necessary oxygen. This is why your VO2max is the dominant performance factor for distances longer than the 800m. In the following paragraphs, we will explore the various training methods that improve your aerobic energy system. Though, before we explore the training methods of the aerobic energy system, a quick note on the glycolytic energy system as it provides 5 – 10 percent of the energy for 5K and 10K races. 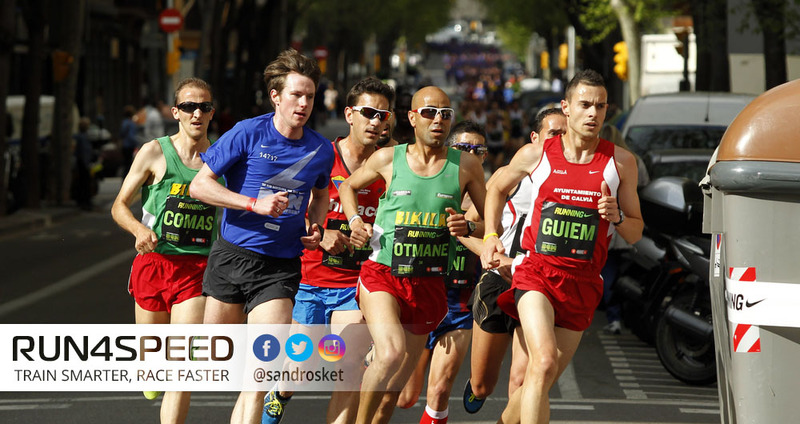 This system is important for middle-distance runners, but too much training at efforts faster than 1500m race pace can undermine the aerobic capacity of your intermediate fast-twitch muscle fibers. 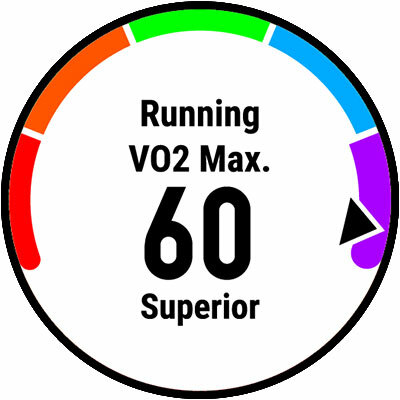 Although classic VO2max workouts are partly anaerobic, they’re safe. Intervals range between 3 and 6 minutes, at 3K to 10K race pace. That represents 90 – 100 percent of your maximum aerobic capacity. 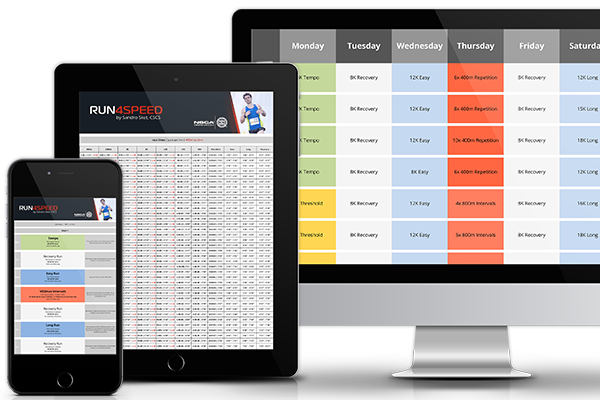 Use the Karvonen method or a performance pace chart to establish your intensities. 5K and 10K athletes should perform two VO2max sessions per week, for longer distances once will suffice. As aforementioned, the oxygen cost of glycogen is lower than that of fatty acids. Therefore your training week should include a long run that depletes your glycogen stores. So don’t fuel during these runs. Your body will adapt by storing more glycogen in your muscles and liver. 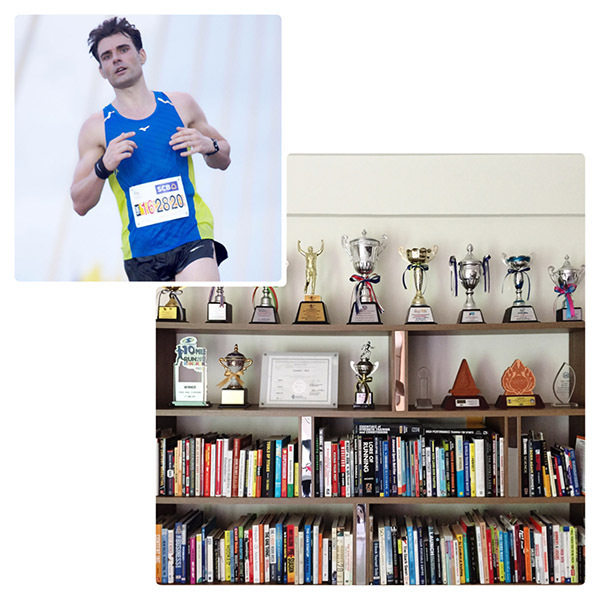 Studies have shown your brain allows for faster times with larger glycogen stores, even in races as short as the 5K. Finally, there’s the aerobic breakdown of fatty acids. This is especially important for marathon runners as the human body can’t store enough glycogen for the full distance. The higher your percentage of fatty acids being burnt, the longer your glycogen stores last. Again, don’t consume sugary drinks or gels during your training sessions and avoid foods with a high glycemic index in general. In summary: Plan your training week with the aerobic energy system in mind. For 5K and 10K athletes, the ability to supply oxygen at a fast rate is of utmost importance. For half-marathon and marathon runners, the size of your glycogen stores (and sparing glycogen as much as possible) is an additional concern to be able to maintain a fast pace at your next event.